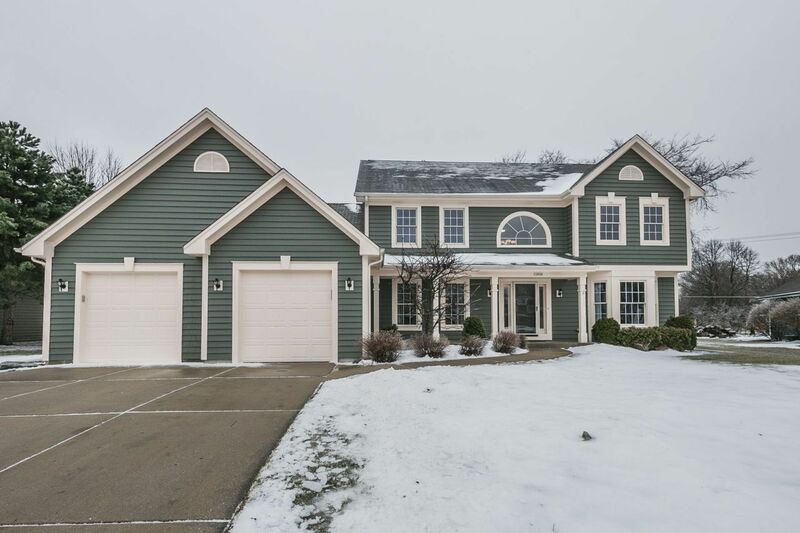 4,126 sq ft; lot: 19166 sq ft - MLS# 1621301 Courtesy of Shorewest Realtors, Inc.
Boasting with updates, this absolutely stunning, 4-bedroom, 3.5 bath Colonial located in sought-after Weatherstone West awaits you. This beauty offers updates galore, leaving no room untouched. The open-concept kitchen features gorgeous white cabinets, quartz countertops & tons of storage space. The eat-in dining area opens up to the backyard deck, making it the perfect space for entertaining and grilling out. Upstairs you'll find the perfect master suite retreat, two spacious bedrooms and another remodeled full bath. Whether you're cozied up next to the boldly refreshed gas fireplace or enjoying the brand new, fully finished lower level, you'll surely love every nook of this beautiful home. Schedule your showing today.